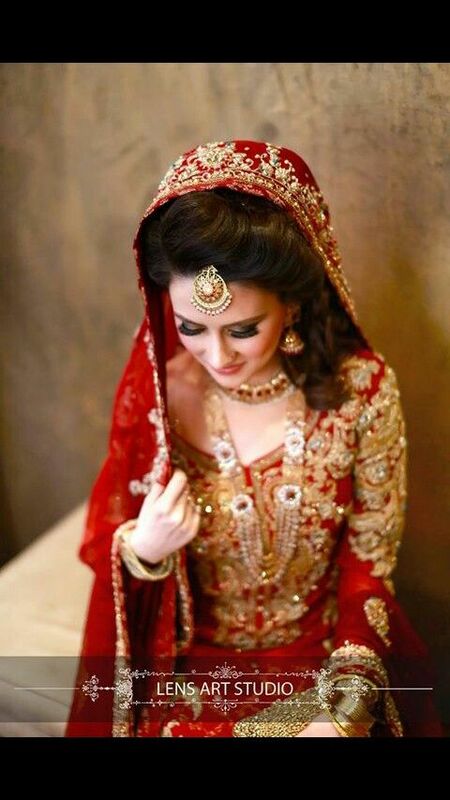 In these wedding days, every bridal wants to stand out truly stunning as she is the center of everyone’s attention. Where clothing, accessories, jewellery, shoes are considered important, one cannot forget the hairstyles because a hairstyle is a thing that highly influences your whole personality. 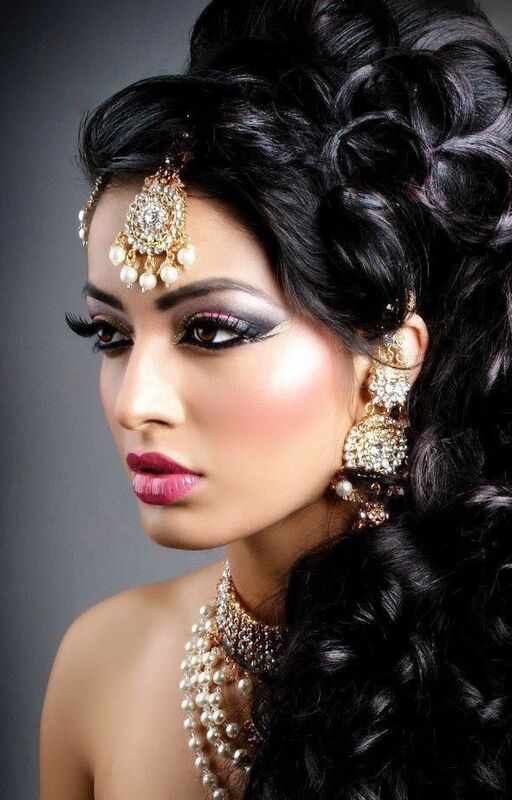 Similarly, a hairstyle is set according to fashion, face shape that suits your face the most. 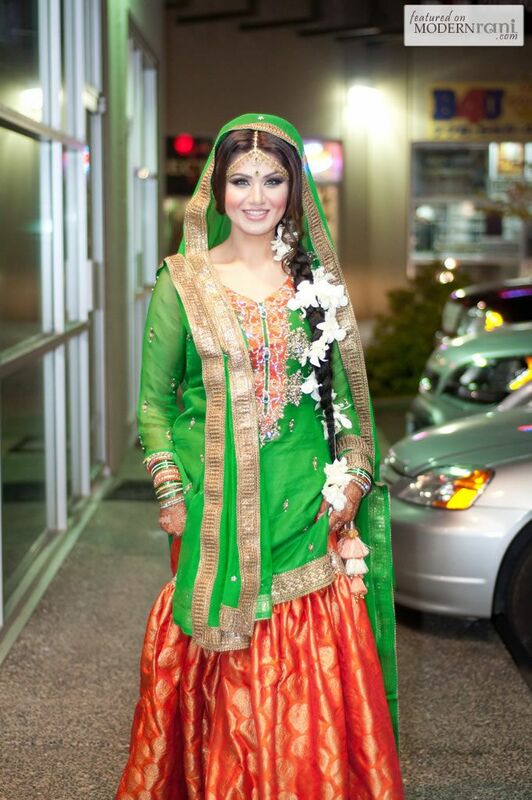 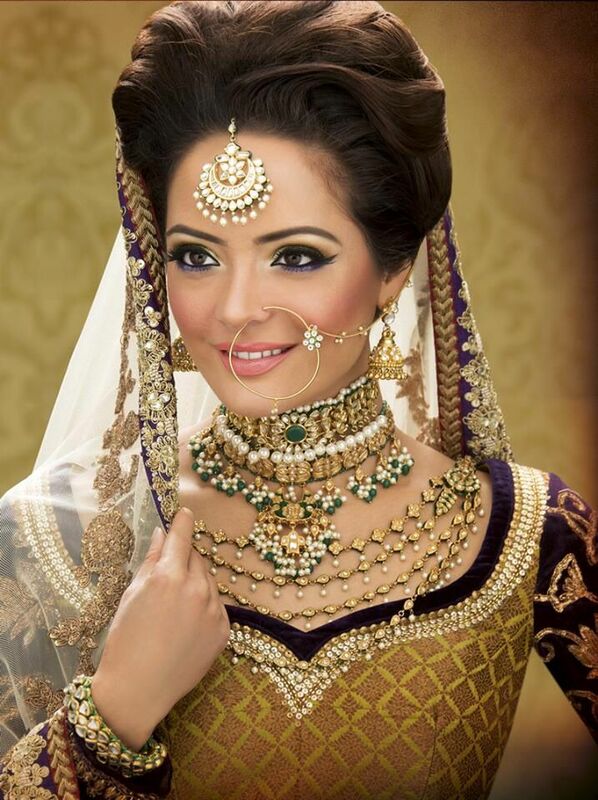 We have always come up with the best ideas according to the latest fashions and trends for Asian and Western Brides. 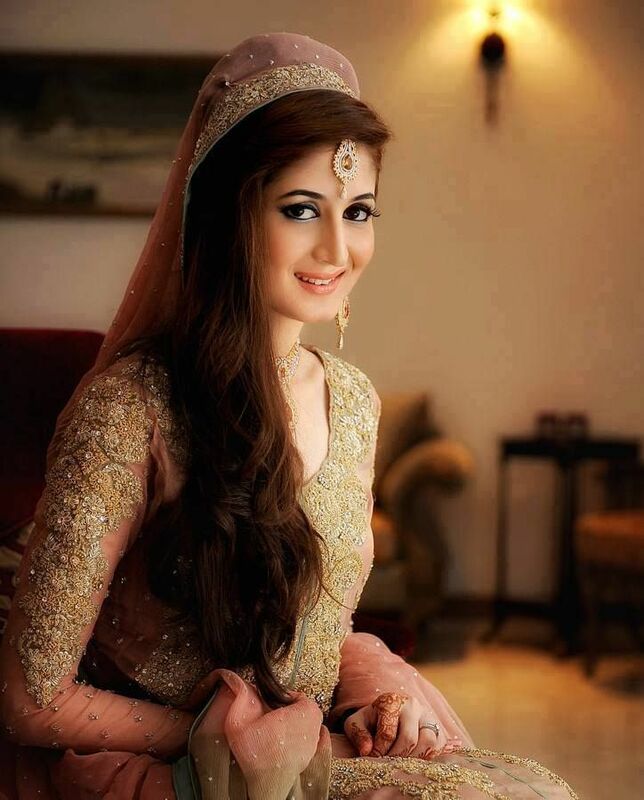 Today we are sharing the best and Latest Pakistani Bridal Wedding Hairstyles Trends. 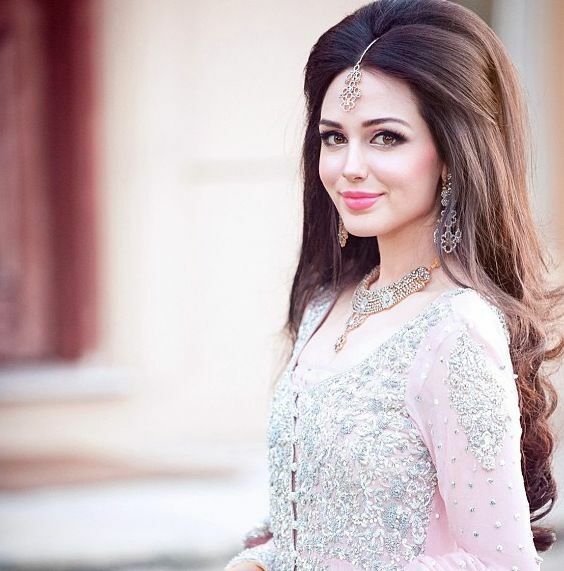 Pakistani bridals possess their unique beauty regarding makeover, dressing, jewelry and hairstyles. 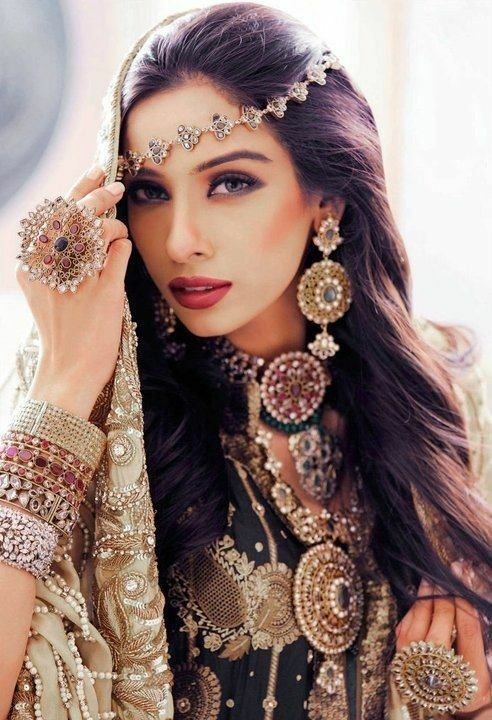 Today, I will show you the latest hair trends for upcoming Asian brides because a beauty enhancing hairstyle is necessary to make you look more trendy and classy. Hope you will like these suggestions as I am listing here the top ones. 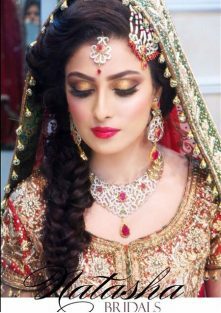 Thick curls were hanging down at sides of the face to front shoulders always look awesome for the brides having long hairs. Curls add a unique and chic look to bride’s face. 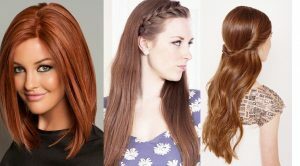 Now there are varieties of curls too whether you like to do it all over the hairs or only a few locks on the front side of the head. 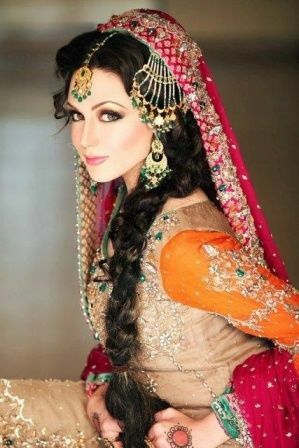 The reason that most brides these days choose to wear curls is because it looks more trendy and younger. 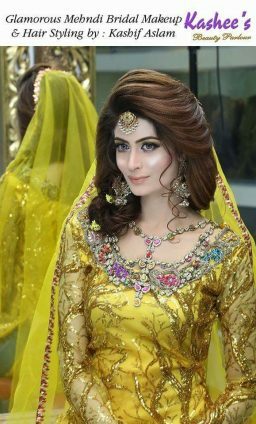 Also it has the benefit of easy to carry and takes less time to make and set. Previously gels were used to make it erect but these days there are techniques through which you can make your bridal curl last longer than ever. 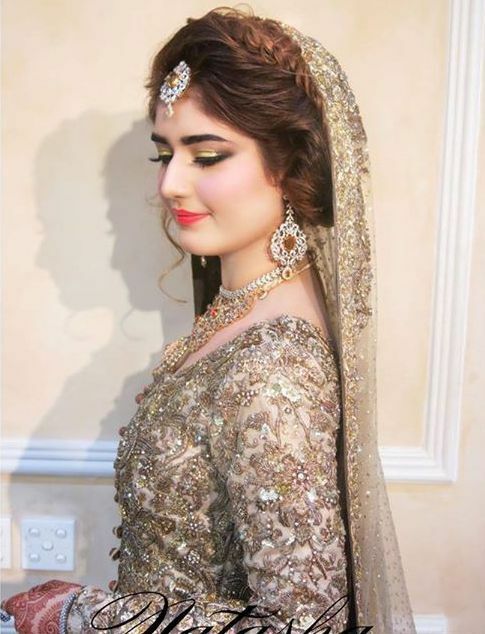 Updo has always been popular and favorite style among brides all over the world; it is considered as best in Pakistan because as brides here used to wear dupatta so it makes it set properly and firm. 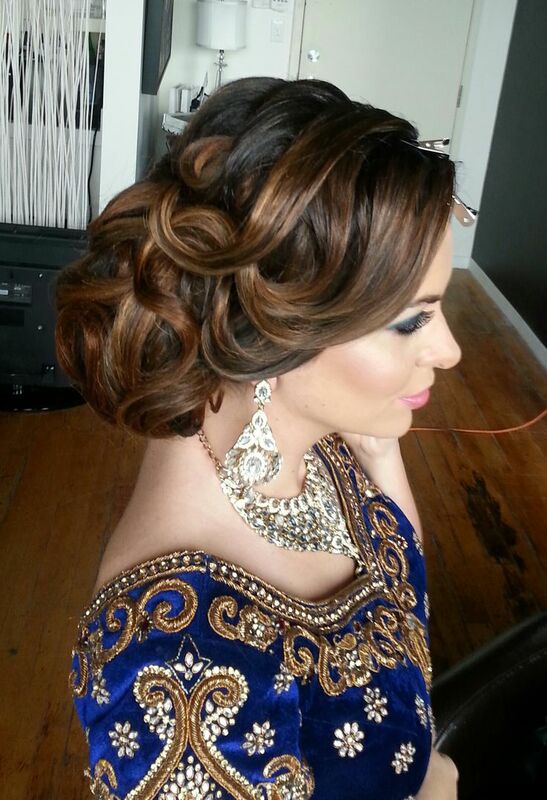 Updo has many variations, curls, braids and twists in a updo. 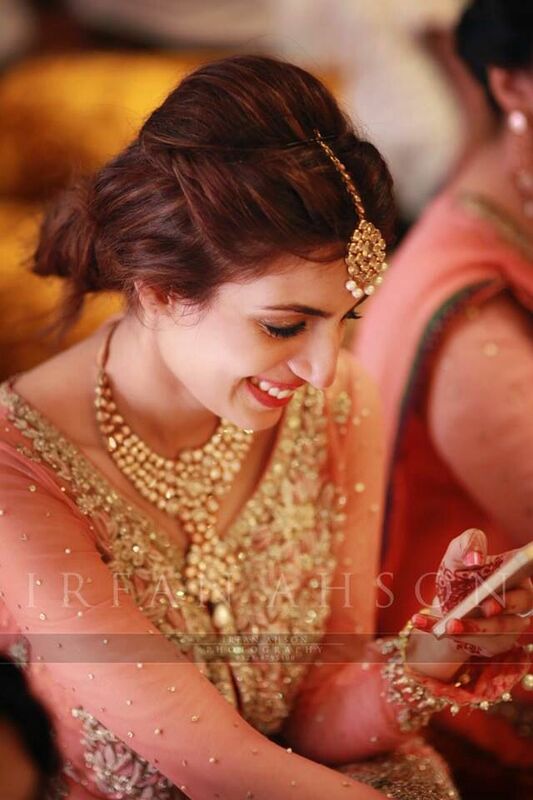 The trend of adding gems and flowers in updo is also becoming so popular these days. 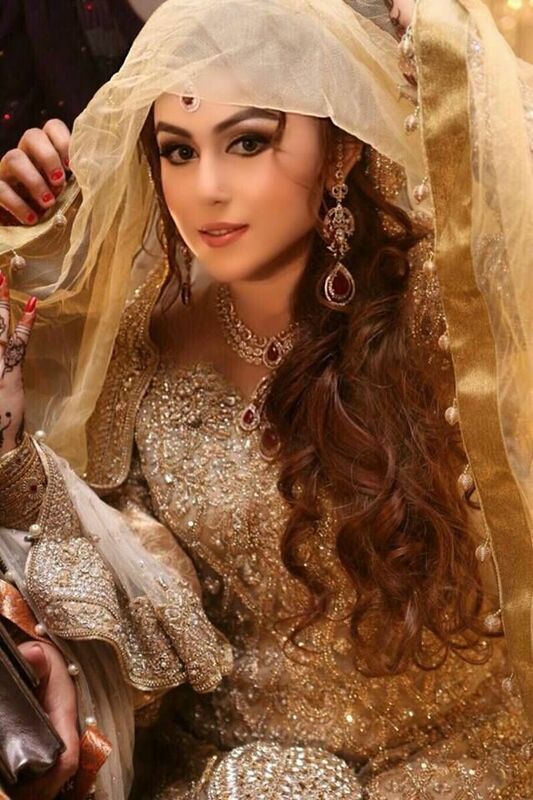 Pakistani bridals with long hair tend to make braids especially in the event of mehndi. 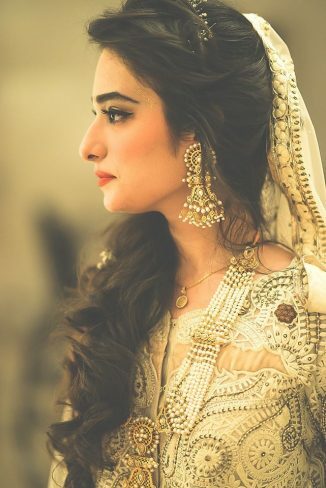 Other than simple mehndi braid, the trends are introduced for the wedding day too just like that princess with thin hair twists as they are more fantastic and intricate. 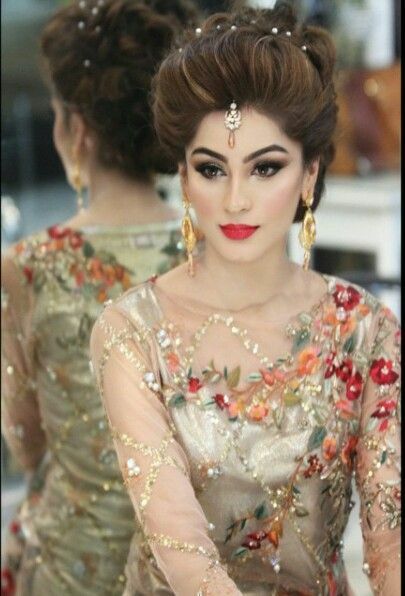 Beauticians nowadays embed flowers, pearls, fancy pins of matching color as of the dress in braids as it looks more cool and fashionable. There are so many other options like French braid, side braid and some more if you think of. 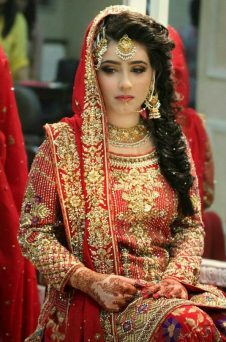 On Bridal Wedding Mehndi functions mostly braid hairstyles are preferred. 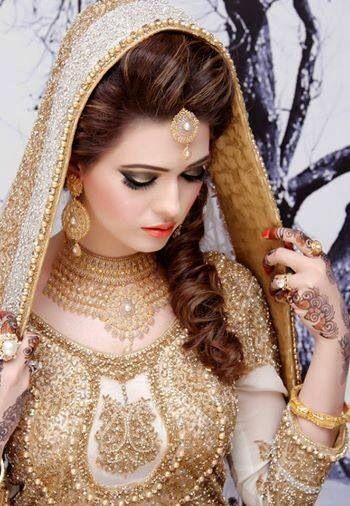 The hairs are well decorated with flowers, pins and pearls that seems so stylish and trendy. 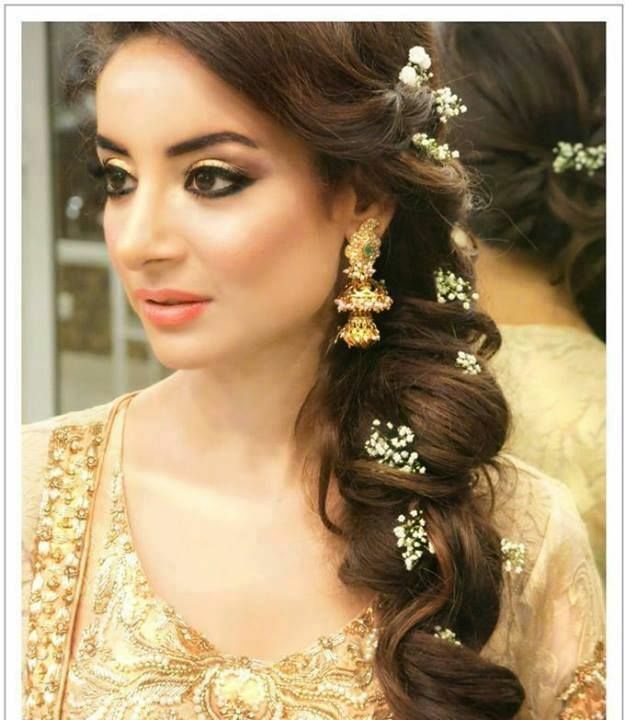 The length of hairs are mostly extended by artificial braids combined with the hairs to enhance the chic appearance. Have a look on the photo posted below. 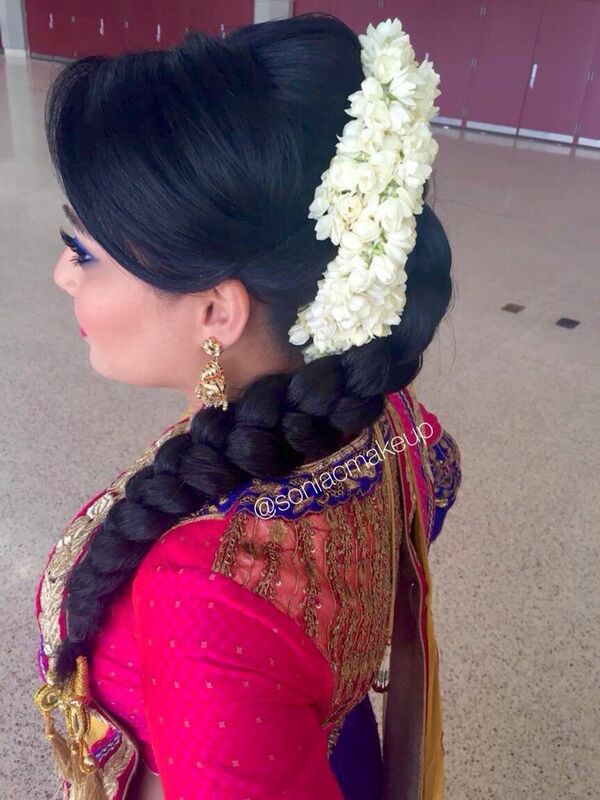 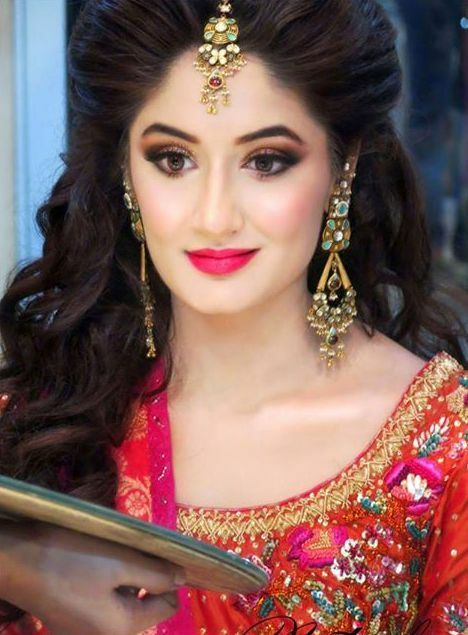 Here we are posting some of the amazing hairdos for Pakistani and Asian brides including buns, updos, braids, half up half down hairstyles, etc. 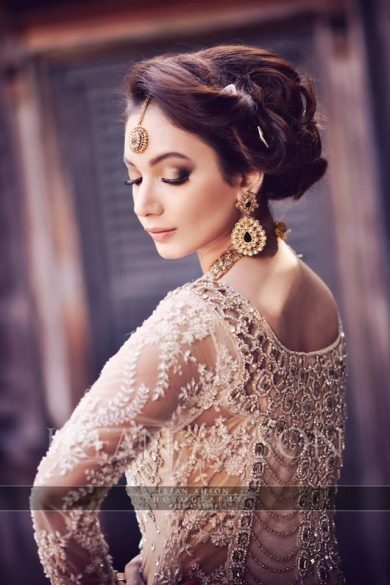 Have a look on the image gallery and get inspired.